Spice Mi-449 Smart Flo Crystal is now available online for a price of Rs4999. You can buy the Mi449 Crystal from HomeShop18. It comes with entry level specifications, which might not be enough to impress anyone. It has 4.5 inch FWVGA IPS display, 1.0GHz 2-core CPU and 512MB of RAM. It lacks 3G connectivity , so you will be limited to 2G /Edge. It is a dual SIM phone and has Dual Standby. The Mi-449 Smart Flo Crystal is available in White color and comes with a free Smart Flip cover. It packs with a 3.2MP primary shooter with flash and 1.3MP secondary cam. It has 4GB of ROM and 32GB of expandable storage. The mi449 runs on Android 4.2.2 Operating system and houses 1450 mAh battery. 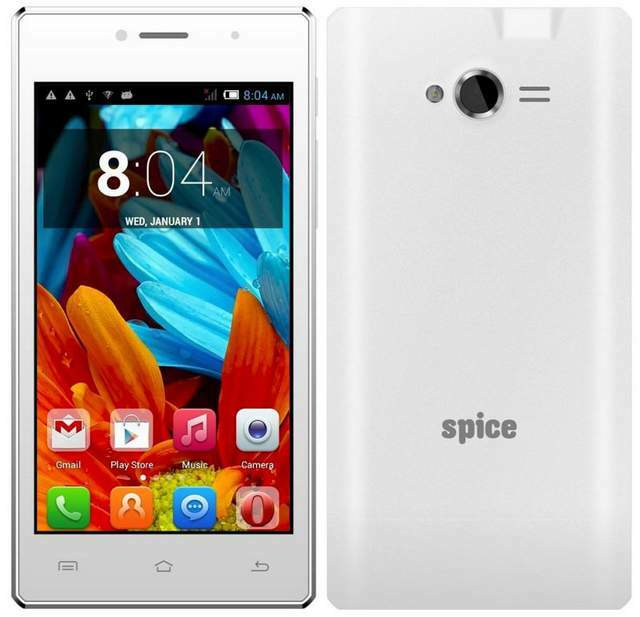 Spice mi 449 crystal flow is 3G supported or not?